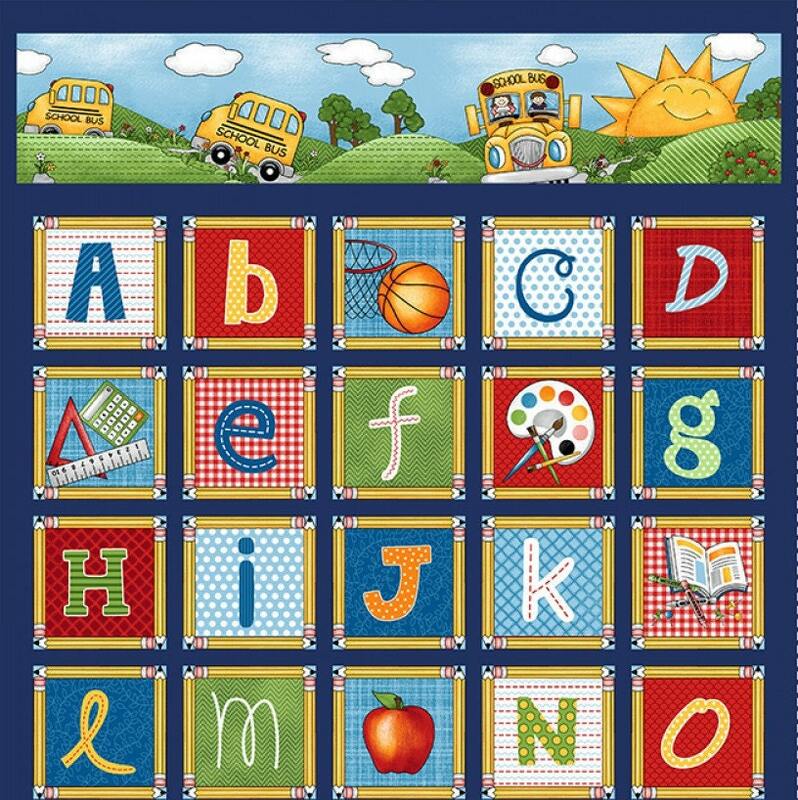 A wonderful Panel in bright shades of primary colors show off the letters of the alphabet. School supplies galore to remind the young and old how much fun it is to buy all of the fun learning tools you need to start school. A grid, plaid, stripes and dot patterns brighten up the borders. We can't forget the bright yellow school bus!, Time to head back to school and study up with this classy classroom collection! 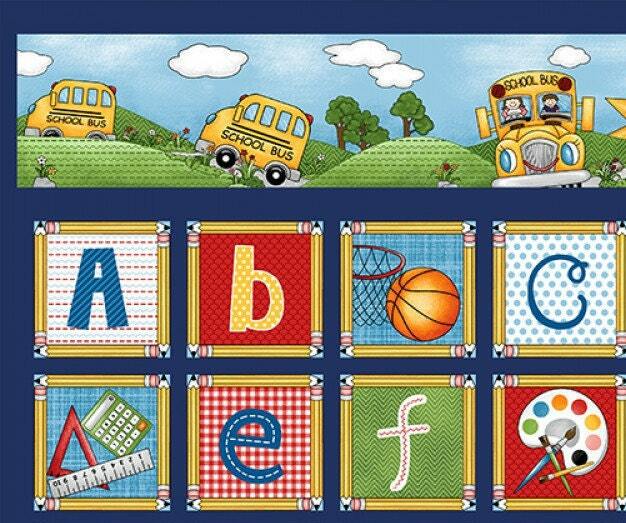 What little person wouldn't want to hurry back to school after they see this great quilt panel. 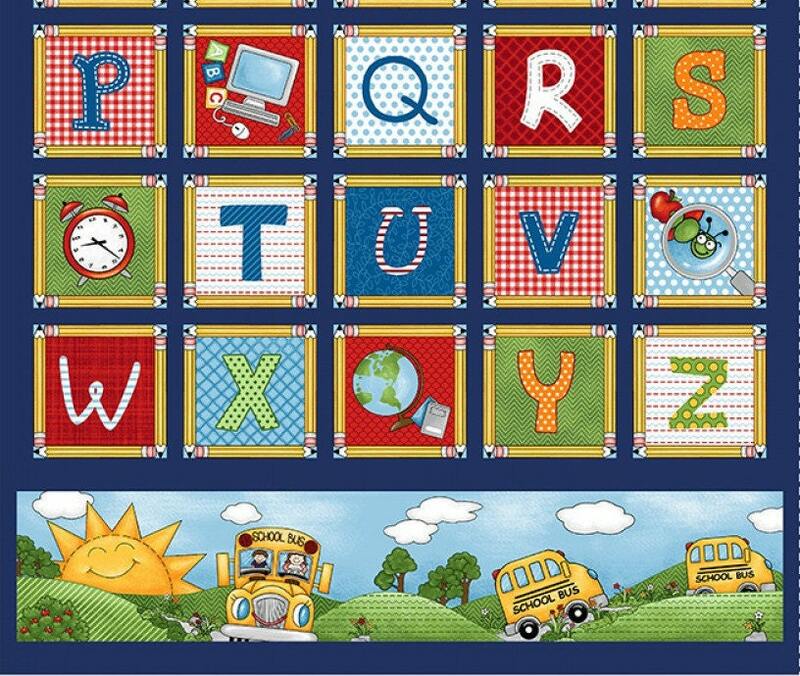 Get yours today and add the fun coordinating fabric to finish off this fun panel. 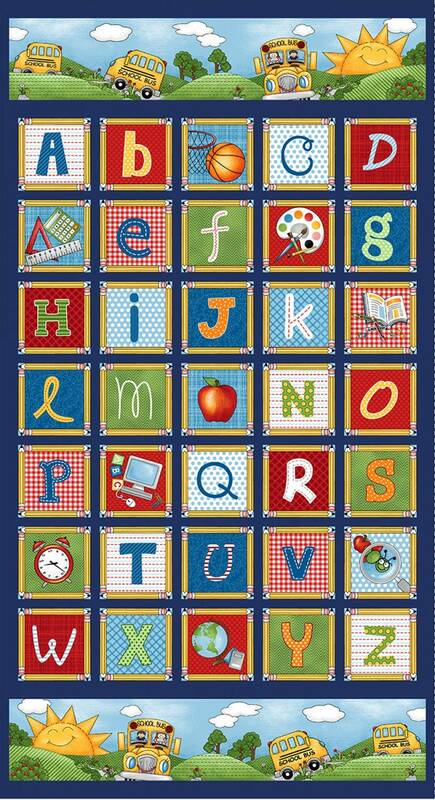 All fabric from The Quilted Nursery Fabric Store is cut directly from the bolt and in continuous yardage. We now offer fractional yardage cuts for your quilting, sewing and crafting convenience. Same day shipping except for Sunday and holidays. Shipping overages are refunded on shipping of fabric.